Fact: at some point in your career as a practicing attorney, you will have a disgruntled client. Your primary concern, years ago, would be a malpractice lawsuit and perhaps, a lost client or two in the community. Today, that one angry client can run amok on sites like Yelp!, leaving your online reputation tarnished in the eyes of prospective clients, most of whom will search for you online before contacting your office. The two most common mistakes lawyers make in dealing with these reviews are to ignore them, or to argue online. Don't argue with fools: over the Internet, it's hard to tell who is who. Obviously, the most desirable result would be for the review not to appear in the first place. If you get the feeling that a client is unhappy with your work, it's best to be proactive and see if something can be done to solve the problem or minimize the pain. This doesn't always work -- clients often are emotional and unreasonable. Still, if it prevents bad reviews and bar complaints, an apologetic phone call may be worth the effort. Besides, studies have shown that, for doctors, a simple apology and acceptance of responsibility can prevent a malpractice lawsuit. Perhaps that tactic works for lawyers and Yelp! reviews too. A friend of mine was recently searching for an attorney in San Jose. He found one attorney that responded to negative reviews with, what he felt, were overly-aggressive, unintentionally humorous responses containing far too much information. Even he, a non-lawyer, saw a possible ethics violation. There is a "one star" review affixed to your name. What do you do about it? Apologize for the client's dissatisfaction. Offer to discuss the matter directly. 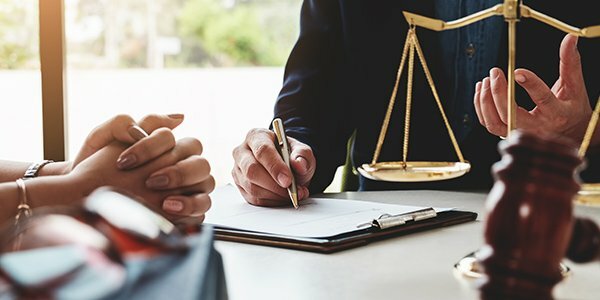 Do not discuss any details or characteristics of the client's case. Even if you don't mean it, at least the appearance of caring and professionalism helps. On the other hand, defending yourself without specifics makes you look like you have something to hide. That brings us to the final consideration: ethics. Perhaps the most shocking part of the attorney's response on Yelp! was the mention of the client's not only retained him for a drug case, but later contacted him regarded a probation violation. We now know far too much about "Julio E.," whose picture, but not last name, is affixed to his profile. Duty of confidentiality, folks. No matter how angry, aggressive, or unfair the client's review is, your response should be simple: "Let's talk about this in person. I'd like to help." No details, no names, and no mentioning of the client's alleged crime and probation violation. As for paid, fake reviews, do we really need to remind you of basic ethics rules. Lawyers may not make false or misleading statements about their services. No paid recommendations, either.